Interested in what the word is on IPI? Well, you've landed on the right page. Below, you will find articles, videos and radio interviews on IPI, and on the impact we've had in the community...or for our input on major issues and concerns happening in the community. Please feel free to Contact Us if you have questions, or are interested in learning more about what we do. 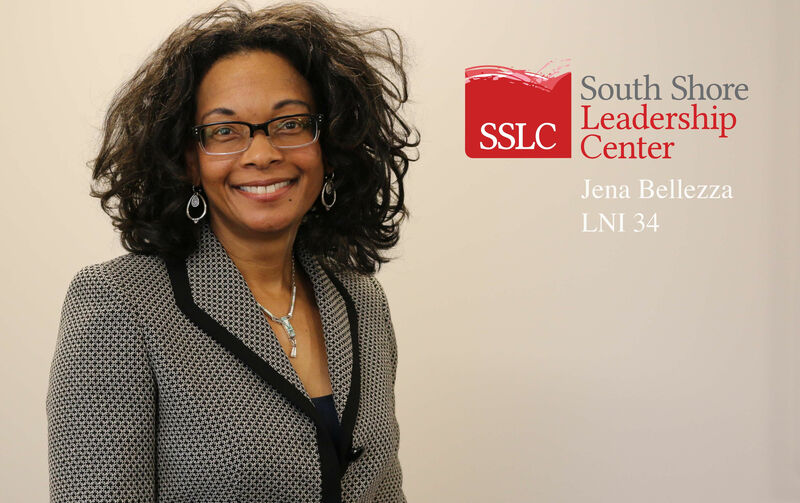 The LNI Alumni Now series: Meet Jena! April 27, 2018 - Jena, LNI34, was on a track to follow and not lead, so she thought. As she grew into the leader she is currently, she has learned that it "takes a village." She understands that each person on the team has a special skill to contribute and that strengthens everyone on the team! Click on the photo below and listen in to hear why she declares her strength is relationship building. August 29, 2016 - Jena Bellezza of Indiana Parenting Institute speaks on The Family's Role in Successfully Addressing Social Deficits before the Governor’s Task Force on Drug Enforcement, Treatment, and Prevention, as she highlights the struggles and needs of the families of addicts, especially their children, and what needs to be done and made available to prevent addiction from becoming a generational coping mechanism within families. July 8, 2016 - Should couples take classes before becoming parents? We take classes for everything else: driving a car, guitar lessons, cooking classes, television production…the list is endless. The most important creation in a family is a brand new human being, and it comes with no instruction manual. Is parenting an art or a science? Are you born with the skills of a good parent or can you learn them? We’re talking with Laura Smith-Wynn and Jena Bellezza of the Indiana Parenting Institute. 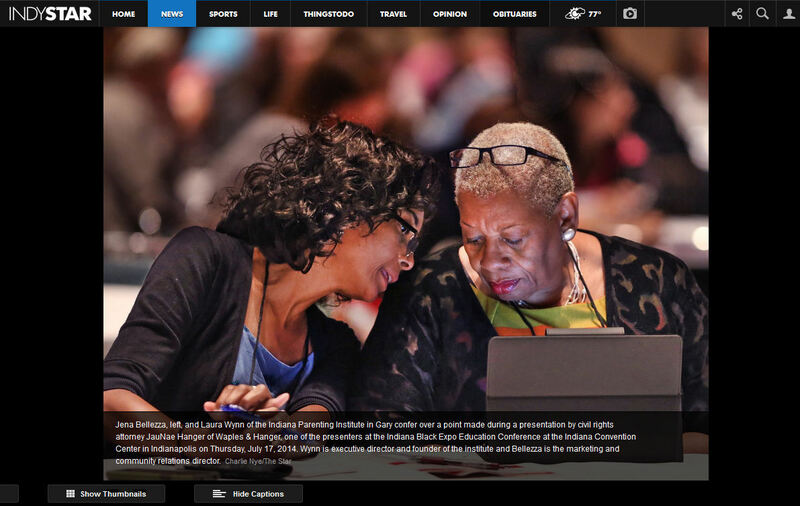 June 17, 2014 - Laura Wynn of Indiana Parenting Institute speaks on Achieving the American Dream: Family Economic Success & Stability (please fast forward to 51:10 for Ms. Wynn's presentation). April 24, 2013 - First Lady Karen Pence takes time out of her busy schedule to meet with Indiana Parenting Institute's parents to give them words of encouragement as they work towards their and their families success. We invited Jena Bellezza and Kendra Johnson with the Indiana Parenting Institute and Fred Jackson with the Indiana Commission for Higher Education's 21st Century Scholars Program into the studio to talk about the August 18th Northwest Indiana "Parent Celebration and Education Expo," to be held at Indiana University Northwest's Arts and Sciences Building in Gary. 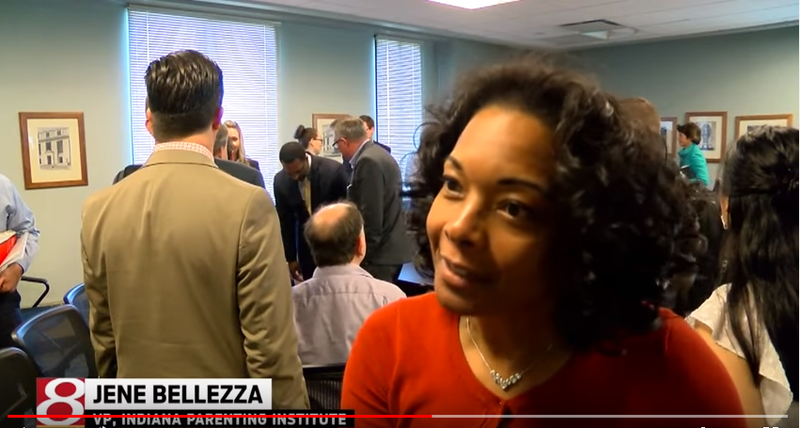 It's an opportunity for parents to learn how the educational system works, the options it provides to families, and how to access its benefits. There are a lot of events and topics they'll discuss that will be featured this weekend. 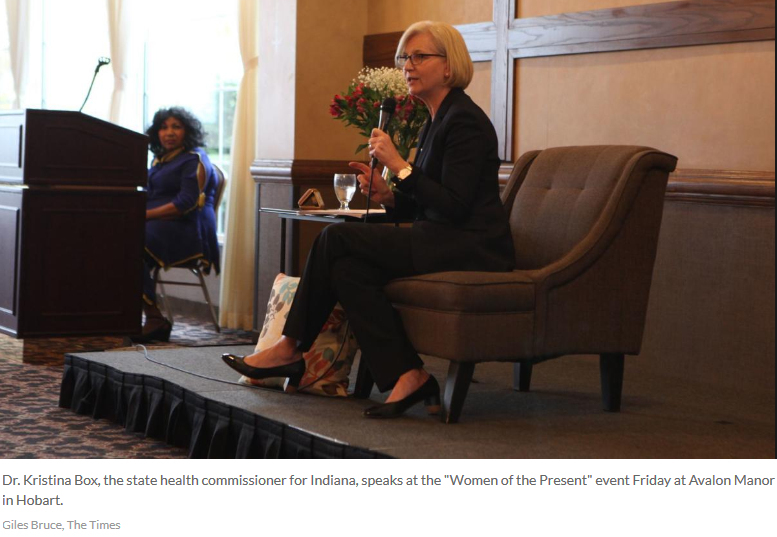 A conversation with Elizabeth Burden about an Indiana Parenting Institute-sponsored discussion Friday morning in Merrillville on the issue of substance abuse's impact on families. The two-hour event begins at 10:00 a.m. at the IBEW Local 697 hall on Mississippi Street. Jena Bellezza of the Indiana Parenting Institute joins us in the studio to talk about the IPI’s designation by the Governor’s Task Force on Drug Enforcement, Treatment and Prevention as a "Treatment Best Practice." IPI is the only organization in Lake County. She also talks about successful programs including a 10-week-long truancy reduction program. James Wallace, the director of I.U. Northwest’s Office of Diversity, Equity and Multicultural Affairs, is speaking at an Indiana Parenting Institute workshop on the Gary campus on Friday. We asked him to talk about what he’ll tell the workshop participants. PAMI2016 "Chat & Chew" Interview - Women Unleashed! April 25, 2016 — On today’s Regionally Speaking on WLPR, 89.1FM, we’ll find out more about the Indiana Parenting Institute’s climax event for Parenting Awareness Month in Indiana — a "Chat and Chew" featuring Gary native, family physician, and TV talk show host Dr. Rachael Ross. April 2015 — The Lakeshore has teamed with the Indiana Parenting Institute to bring you tips and features on parenting - brought to you by The Lakeshore’s own Sharon Jackson. Take a listen! March 11, 2014 — There is an organization right here in Northwest Indiana that is improving the lives of kids by bringing up parents. The Lakeshore’s Sharon Jackson reports. Please connect to our facebook page to check out our "selfies". You may just see yourself in one of our online albums.